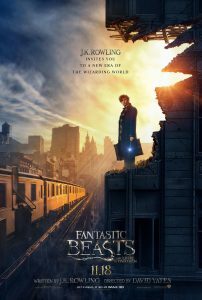 The combined might of Tom Hanks and a Disney Princess couldn’t stop the juggernaut that is ‘Fantastic Beasts and Where To Find Them‘. Even the indie counter-programming didn’t stand a chance. All this and more happened last weekend at the U.K. 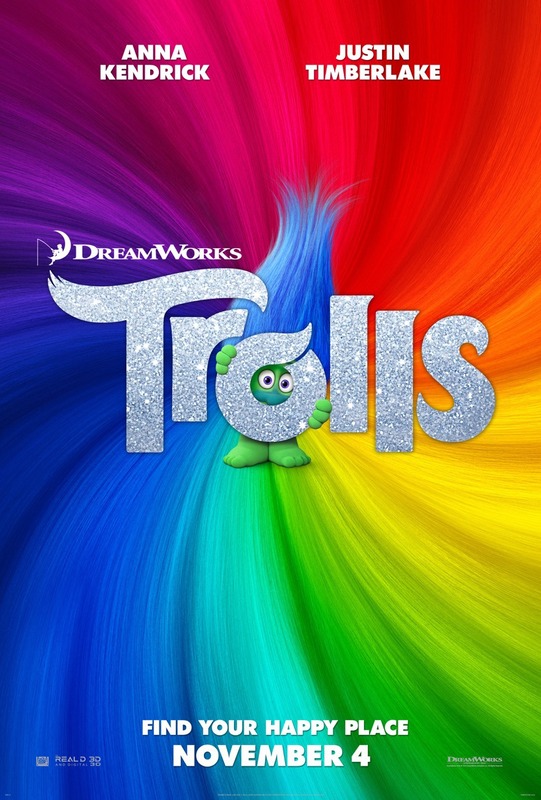 Box-Office. It was a strong third weekend in a row for Warner Bros. “Harry Potter” spin-off ‘Fantastic Beasts and Where To Find Them‘. Dropping 48% to take £4.49M, its lifetime total of £37.88M means it’s overtaken the lifetime totals of ‘Captain America: Civil War‘ (£36.9M) and ‘Batman v Superman: Dawn of Justice‘ (£36.6M) and making it the 5th most successful U.K. film of 2016 so far. Whether it was due to a lack of interest or the all-encompassing ‘Fantastic Beasts and Where To Find Them‘, our two new wide-release films were simply unable to unseat the current box-office champ. ‘Moana‘ opened to £2.18M which is a huge step down from ‘Zootropolis‘ opening of £5.31M (excluding previews) and it wasn’t even able to best Pixar’s 2015 box-office disappointment ‘The Good Dinosaur‘s opening of £2.93M. 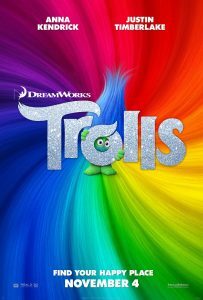 ‘The Good Dinosaur‘ went on to earn £15.15M and became Pixar’s lowest-grossing film in U.K. history so this is not a good start for ‘Moana‘. 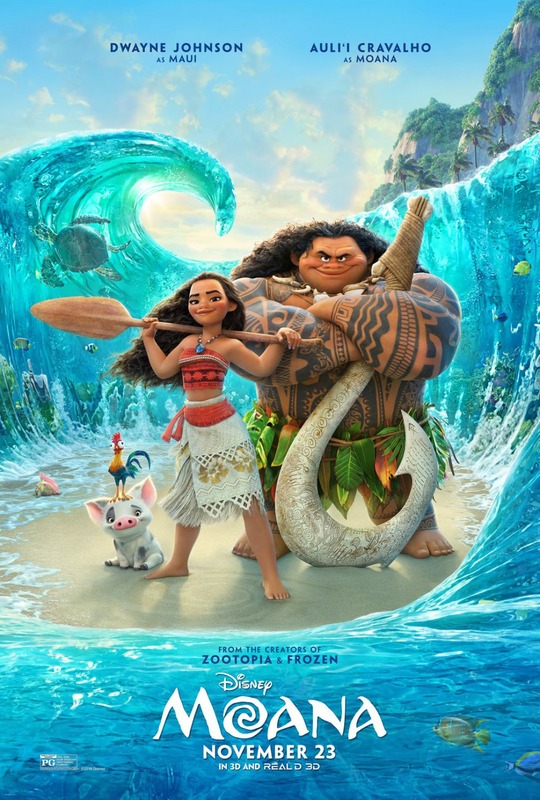 When compared to previous Disney Princess films it’s down from all recent examples such as ‘Frozen‘ (£4.70M), ‘Tangled‘ (£5.10M) and even the 2D financial disappointment that was ‘The Princess and the Frog‘ had a bigger opening than ‘Moana‘ with £2.21M. This opening just gets worse the more you look at it. 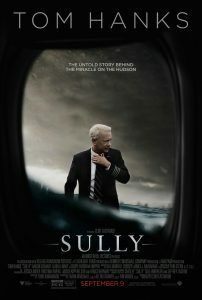 In 3rd place we find ‘Sully: Miracle on the Hudson‘. While Tom Hanks may be a big draw in the U.K., the story of Chesley Sullenberger was always going to be a harder sell then it would be Stateside. Its opening of £1.78M is reasonable, though it significantly lags behind Clint Eastwood’s last biopic ‘American Sniper‘ (£2.53M) and way behind the last big Tom Hanks biopic ‘Captain Phillips‘ (£3.02M). One factor working against ‘Sully: Miracle on the Hudson‘ is that it was released in the U.S. nearly two months ago. In an age of worldwide marketing pushes, it would seem that the biopic had already been forgotten about once the film was released in America and the multimedia marketing essentially stopped. The biggest surprise of the Top 10 goes to the No. 5 spot ‘Pitbull. Niebezpiecze Kobiety‘. This Polish film was released in only 104 venues (exclusive to Odeon) but with the U.K’s prominent Polish population is was able to make a significant impact with the second bigger per-theatre average of the weekend. 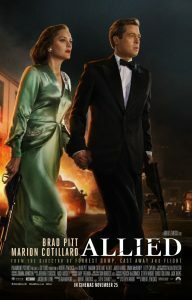 The “Pitbull” franchise has become something of an unsung cult-classic in the U.K. with the previous film ‘Pitbull. Nowe Porzadki‘ opening in April 2016 with £146K to earn a lifetime total of £544K. 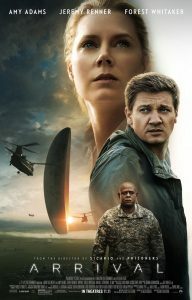 Further down the Top 10, ‘Arrival‘ demonstrated a strong hold. While its 49% drop is slightly more than ‘Allied‘ and ‘Fantastic Beasts and Where To Find Them‘, ‘Arrival‘ left 119 venues which means that despite its release becoming slightly more limited, word-of-mouth is encouraging people to see it in its 4th weekend. 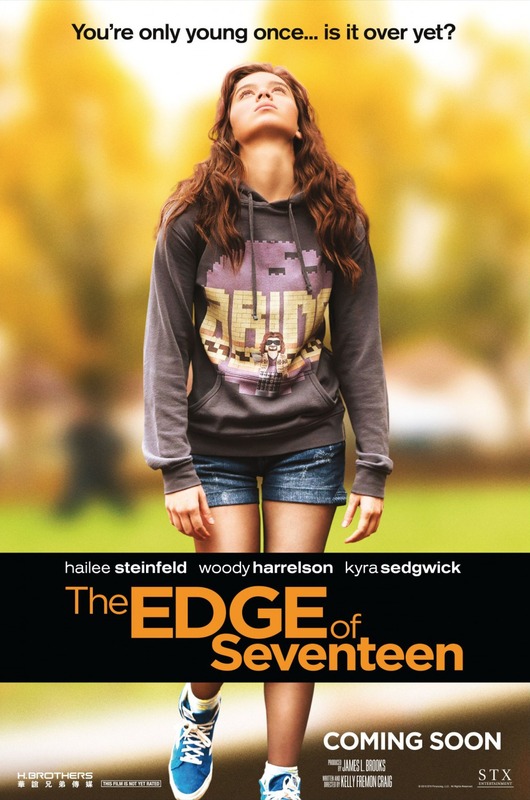 At the bottom of the Top 10 we find ‘The Edge of Seventeen‘ with £273K and ‘Bleed For This‘ with £250K. 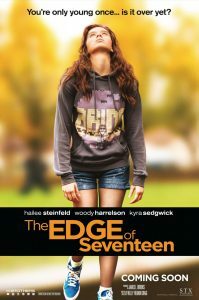 ‘The Edge of Seventeen‘ earned £60K in previews and without that slight bump it would have debuted at No. 11 below ‘A United Kingdom‘. 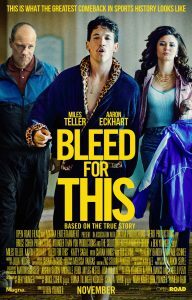 Also ‘Bleed For This’ lags behind recent boxing films ‘Creed‘ (£2.22M), ‘Southpaw‘ (£1.66M) and ‘Grudge Match‘ (£265K). Miles Teller’s last equivalent film was ‘Whiplash‘ which opened to £573K back in January 2015. Due to under-performing new films, takings are down 21% from last weekend but up 20% from the same weekend last year when ‘Christmas With The Coopers‘, ‘Krampus‘ and ‘Victor Frankenstein‘ disappointed. Next weekend is relatively quiet as the market pauses for breath before ‘Rogue One: A Star Wars Story‘ opens. 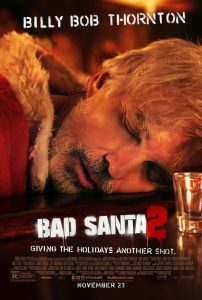 The biggest films are ‘Snowden‘, ‘Office Christmas Party‘ and ‘Birth of a Nation‘ with the latter opening in limited release. Expect ‘Fantastic Beasts and Where To Find Them‘ to win the weekend for the 4th time in a row; the first movie to do so since ‘Star Wars: The Force Awakens‘.